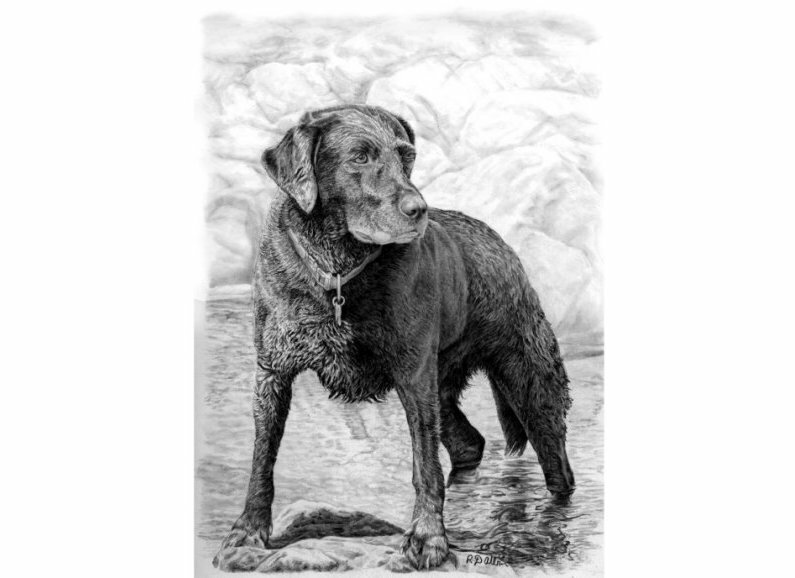 My first news of 2017 is to thank everyone for their support last year and the owner of Molly the Black Labrador for commissioning this drawing of her coming out of a rock pool. Molly loves water like most Labs and this one was done just in time for Christmas. Let’s hope 2017 is a good and peaceful year for everyone. For anyone interested in meeting me at work, I have put up my list of art shows for 2017 at the bottom of my website home page at www.richardalbon.co.uk. Happy new year to everyone.